Many of us find ourselves glued to the events in Sochi right now. It's inspiring to see lithe athletes in their prime, pushing the limits of artistry and gravity. After all, Fitness Friday is a highlight of our week here at the New Balance Foundation Marine Mammal Center. So with the Olympics on our minds, it's not hard to imagine the seals and sea lions in similar acrobatic endeavors. 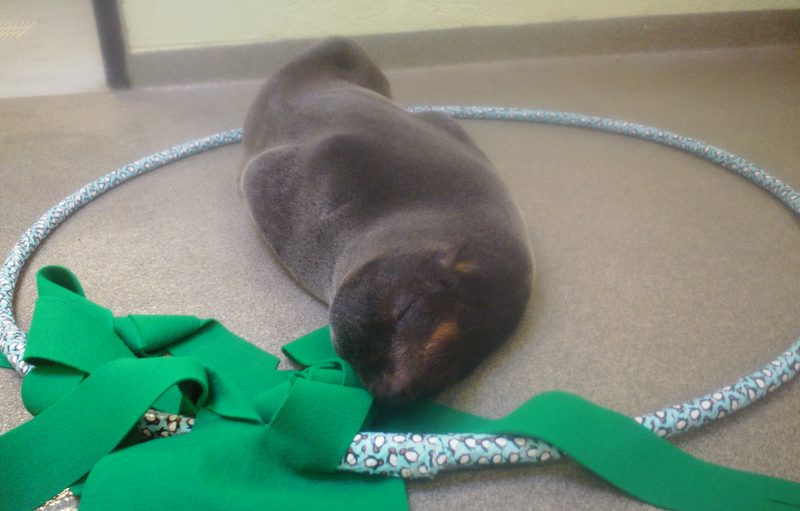 The sea lions and fur seals have lots of toys available to them for enrichment purposes. 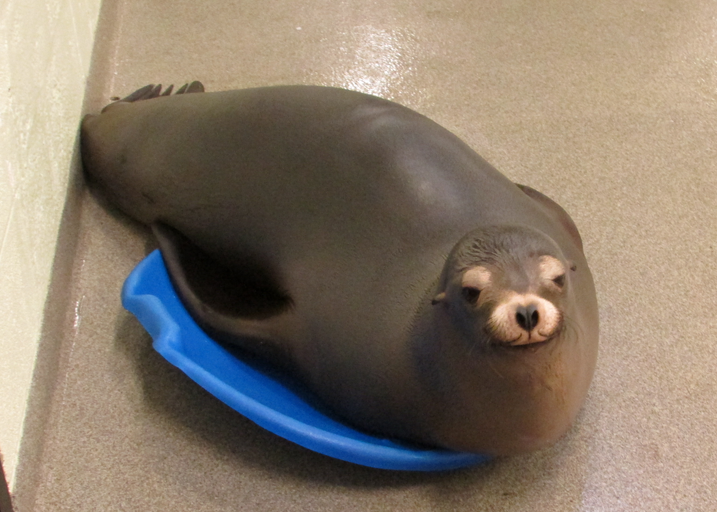 Sometimes we put jello in these big dishes, sometimes a sea lion squeezes herself into one. We thought Zoe looked like a skeleton slider (minus the icy track and break-neck speeds)! Meanwhile, Leu, our rescued Northern fur seal, found a missing Olympic ring. He found it a nice place for a mid-play nap.